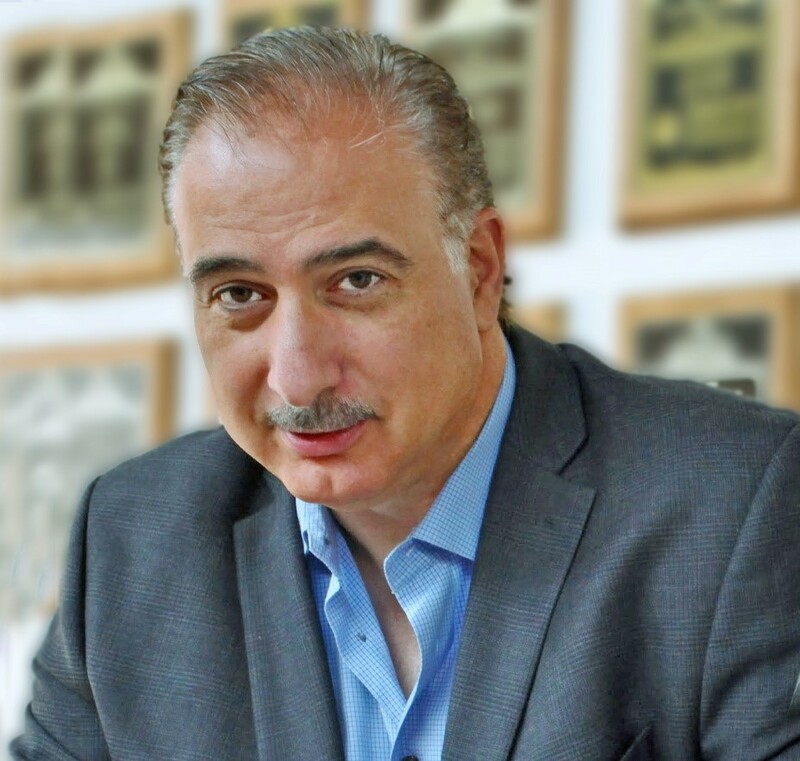 CEO and Director of Epica International, Inc.
Family Office Insights sits down with Frank D’Amelio, CEO and Director of Epica International, Inc., to discuss how Epica is paving the way in highly advanced robotic and CT platforms for healthcare and industrial applications. Tell us about your background and what shaped you in the Medical device field. I’ve been really fortunate in my background and life, as I’ve had great opportunities to gain expansive knowledge in many different areas. I attended a vocational training high school where I rotated every week between various shops (carpentry, automobile repair, electronics, etc.) learning the finer points of each craft. This concept repeated when I started my career with ACMI, the division of American Hospital Supply responsible for producing endoscopes, as part of their Management Training Program. When asked where I wanted to start, I told them I would prefer to begin in Research & Development. Their immediate response was, “Sure, you just need to spend a year in Quality, a year in Manufacturing, a year in Sales, and then you can go into R&D!” This gave me broad perspective in understanding each individual unit of a company, and most importantly, the how each independent department must work in unison to build a successful business. I was able to understand all aspects of the business from new product releases, regulatory compliance, FDA policies, sales contracts, cold calling, vendor audits, and quality assurance---the list is rather long, but very impactful. Around the time I began my career, ACMI had just invented fiber optics and quickly became the industry leader. A year before I started, ACMI licensed its patented fiber optics technology to three companies who previously couldn’t sell in the USA: Olympus, Pentax and Fujinon. The license agreement granted them access into the US market (and a few short years later, they all gained US market dominance over the licensor, ACMI). Witnessing this experience firsthand taught me the value of intellectual property (patents) and the power of barrier to entry. A few years later, other endoscope companies developed CCD video GI endoscopes. ACMI exited this business, (a business started because it didn’t have video GI technology or any video patents) and focused specifically on Urology. This maneuver also had a huge impact on my career; I watched the industry leader exit the market place because the company didn’t keep up with evolving medical technology. Many years later, when ACMI’s Urology dominance was about to be overtaken with CCD video endoscopes, I sought out smaller European companies to develop the world’s smallest 1mm camera in order to keep us on the map. In doing so, we were able to outsmart our competitors by obtaining our own patents for CMOS video technology and corner the market. One year later I led the sale of the ACMI for $500M (18x profit), my first transaction. Taking what I learned and expanding upon it, I went on to complete six more large transactions on both the buy and sell side (acquisitions, mergers, and joint ventures). The intention for medical products is to be an extension of the doctor’s eyes. The primary technology used in diagnosis today is MIS, (Minimally Invasive Technology) endoscopy & video cameras. This means puncturing the body, inserting an endoscope and looking around to determine a proper diagnosis. In an ideal world, doctors would like to see into the human body non-invasively. And that’s exactly what we developed at Epica International, Inc. ---advanced, non-invasive imaging inside the human body. Our technology is based on an innovative form of CT 3-D imaging. We generate super high-resolution images, which in many applications can replace endoscopy so there is no need to pierce the body with an endoscope. CT 3D imaging is just 1 of 2 divisions of Epica International. We have another division focused solely on precision robotics that is primarily utilized for industrial applications. Recognizing the opportunity, we’ve taken our non-invasive 3D imaging technology and paired it with precision robotics, so our system (3D CT imaging + robot) can now assist physicians during surgery. In the human market, our 3-in-1 CTs are best utilized in the radiology department of a hospital or clinic; our CT + Robot can be used to assist physicians in any hospital or outpatient clinic. Our CT systems are unique in that they are portable---the ring pivots and rotates 90 degrees allowing them to easily slide through a standard door. Today we sell our CT products in the veterinary market. By doing this, we were able to generate revenue early on and reinvest profits to further test and refine our products. As of June 2017, we are cash flow positive, and have collected a surplus of animal data through our customers and partner veterinarians. This strategy created a win-win scenario preparing us financially and functionally for human market entry. On the medical side, the biggest challenge we face is completing the human regulatory approval process (510k FDA clearance and CE mark). Fortunately for us, I have filed and received clearance for more than 250 devices throughout my 27 year career, so I understand the process well. There’s a reason why GMPs (Good Manufacturing Practices) exist. It lays a framework for a logical and safe way to develop products that are held to a quality standard. I understand why the FDA wants to see all this information prior to clearing products, and I know exactly how to provide it to them. On the industrial robotics side, a major challenge we face is spreading the word of our robots’ capabilities to every applicable industry. We have double-digit growth in this division, and could expand it even further by simply getting the word out and changing the way people think about the sanding process in manufacturing. Instead of focusing on achieving the lowest labor wage rate, the focus is now on automation---achieving the highest precision, quality, and optimization for $0 wage rate. Our robots sand anything from furniture, sinks and bathtubs, to cars, boats, hockey sticks, and more. We are looking to focus more on PR initiatives and raise awareness of the capabilities of our robot. Otherwise, there is no direct way to access every market utilizing sanding in their manufacturing process. In the medical robotics market, most surgical robots available today are mimicking systems (Intuitive Surgical, Mazor Robotics, TransEnterix and Stryker’s Mako Robot). A mimicking system is where the physician sits in a booth and the robot mimics the motions, which also relies on minimally invasive (MIS) technology (endoscopes). Our system is a completely non-invasive, physician assisting system: CT + Robot. The system scans the patient and develops a 3D model, which the physician is able to review and manipulate to find the disease state. The system’s software then enables the physician to pre-plan the surgery identifying the most ideal plan of attack. Once the physician is ready, he/she simply presses ‘go,’ and the robot holds the surgical devices in the perfect position for the physician to insert the tool down the identified path. In the industrial robotics market, the current competition is simply the hourly-waged workers performing the sanding process in unsafe manufacturing conditions. There are no comparable sanding robots available today. The future of medicine is non-contact imaging. Trends in the medical field fall into a 20-year cycle. There were a lot of open surgeries in the ‘70s, as the trend was exploratory-based to look around. That changed in the 90’s when MIS endoscopy was the latest and greatest device. What a lot of people don’t recognize is you can’t use that kind of minimally invasive surgery on any part of the body. In order work on the knee, you can’t just stab the knee, you have put saline in the knee so you can expand the area and put a scope in there. With our CT system, the sky is the limit. With our system, the doctor is able to perform a scan, diagnosis it, and perform the surgery, pretty much all at one time, on any part of the body. I know that the future in the medical field is not opening up a patient to explore; it is looking inside the patient without opening them up and then treating them by only making an incision where it is absolutely necessary. In the industrial industry, sanding has a huge impact and many damaging effects on the workforce. Without high-end respirator technology installed in these plants, the floating particles are inhaled and ingested. Historically, the theory of manufacturing was that it would follow the sun in search of the lowest wage rates. Beginning in Mexico, going to Japan, South Korea, and now China, manufacturing is constantly in search for the cheapest labor. That theory is no longer prevalent. By using sanding robots, the labor rate is reduced to $0, the human health risk is eliminated, efficiency and productivity are increased (24/7 run time), and rapid repetition is established. Right now we are looking to raise $11.8M to accelerate the execution of our human market entry plan. While we could self-fund this initiative out of profits, it would take us significantly longer as the funds would be pieced in over the course of the next few years. With the $11.8M cash injection, we are confident that we can accelerate the process and enter the human market within the following year. The funds will be used to build out infrastructure, conduct clinical testing, obtain the CE mark and 510k FDA approval, establish pre-production build up, and set up the US and European distribution channels. Our mission is to bring our CT and CT + Robotic systems to the human medical market. On the industrial robotics side, our mission is to eliminate the challenges of having a human workforce do tasks that are better suited for a robotic system. For our industrial robotics, we will be expanding our production facility to keep up with the growing demand and our double-digit sales growth. In our medical robotics, we are working on our human market entry plan and preparing for our public showing of the next generation medical robotic and visualization system in October. Mr. D’Amelio has over 28 years of medical device experience at the senior level, having served as CEO of Ellman and CMO, CTO, and EVP of Gyrus ACMI. A key contributor to ACMI’s growth from $27M to $185M via new products, acquisitions, and restructuring, he co-led the sale of ACMI from Fox Paine & Co. to Gyrus for $500M, at 18x EBITDA. Mr. D’Amelio grew Ellman from $19M to $29M in 2 years, changing it from a convention-based salesforce to one that is directly focused on aesthetics and plastic surgery. He also led several successful M&A deals, on both the buy and sell sides and directed the production activities of 5 facilities while managing 700+ employees and increasing GP by 15% basis points over a 4-year period. Mr. D’Amelio has taken numerous products from inception through the FDA process and subsequently, onto commercial success. He is also named an inventor on numerous issued or pending medical patents. Mr. D’Amelio has a degree in electrical engineering and completed advanced training in finance and marketing. For more information, please reach out to Frank at f.damelio@epicamed.com.